Stefan Bekowsky hasn't been my partner for long. I've just made detective, and he patronises me for it endlessly, telling me to ask him for help every time he's not complaining about everything within his field of view. I can't stand Bekowsky, but his one redeeming feature is he's happy to drive. He's doing it now. Los Angeles glides past, our black car prowling the streets like a spectre, ready to protect and serve. It's 1947, and the city is boiling over with post-war stress. 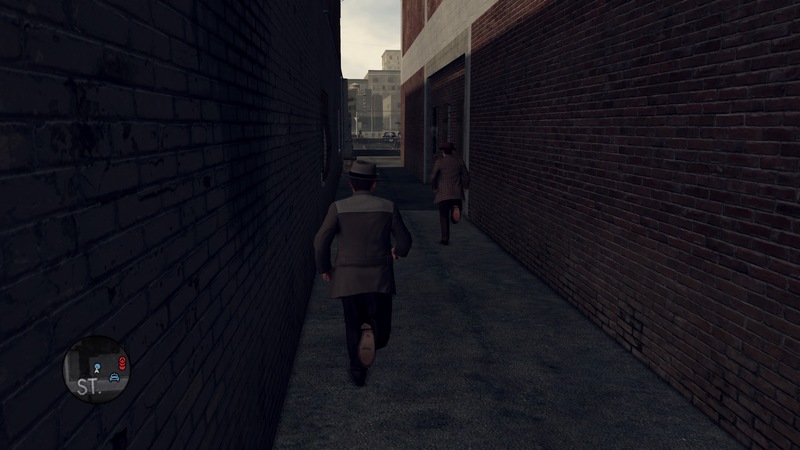 Cole Phelps, the game's protagonist, has his own post-war stress to work out. A former Marine Corps officer, Phelps is trying to keep the city safe and fit back into the world that's changed while he was away at war. 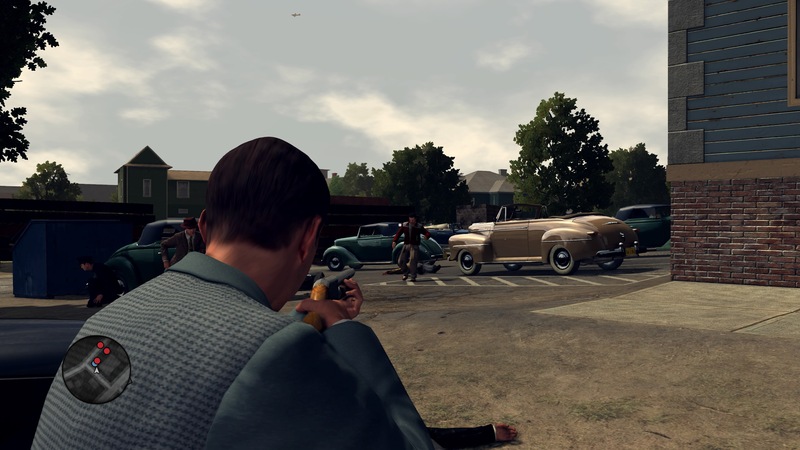 L.A. Noire is a police procedural, originally released in 2011 to a muted reception, but in the years since it has built up a cult following for the game's tone and atmosphere. Like all the best noir, the characters here are deeply flawed, life is snuffed out, and cold and calculating villains crash against steely protagonists. 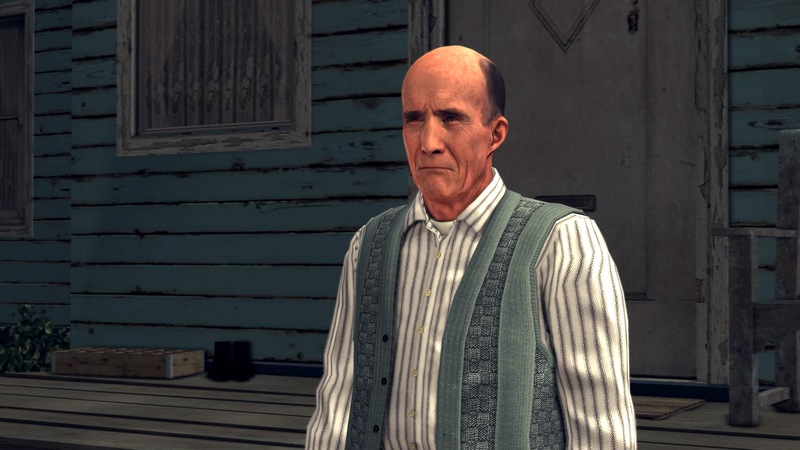 The story underpinning L.A. Noire, both the moment-to-moment exposition that takes place during the cases and the larger narrative that bounces the characters around through the game's runtime, has held up well. This is probably why Team Bondi's open world detect-'em-up has returned, long after the studio itself was liquidated. The port was developed by Virtuos, and graphically it holds up. Hair in the game is oddly low resolution, but seeing as most of the men wear hats and there's a dearth of women in the game, you don't notice it often. The CGI cutscenes are still a little wonky, and on the PS4 the characters don't have flawless detail, but everyone is recognisable. 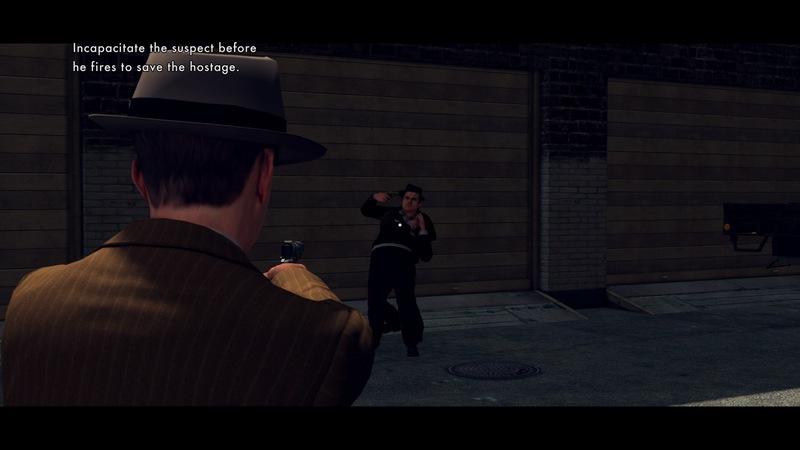 This is key, because the core of L.A. Noire's experience, from a mechanical perspective, is the game's interrogation system. The technology, revolutionary at the time, brought actors to life on the screen for the purposes of interrogation. You ask them questions, they'll answer, and then you get to decide if you think they're telling you the truth, withholding things, or even straight up lying to you. These interrogations are unique, and you don't see anything like it anywhere else. They've been rejigged for this version of the game too, giving you the option to go Good Cop, Bad Cop, or Accuse. The game's old system was somewhat unpredictable, which became a substantial meme the first time around, but here it feels balanced with just a change of the words used. However, I have severe autism, and as with the original release I had to play through these interrogations with a guide so I can understand the minor facial movements that indicate the difference between a lie and the truth, and it didn't hurt my enjoyment of the game. 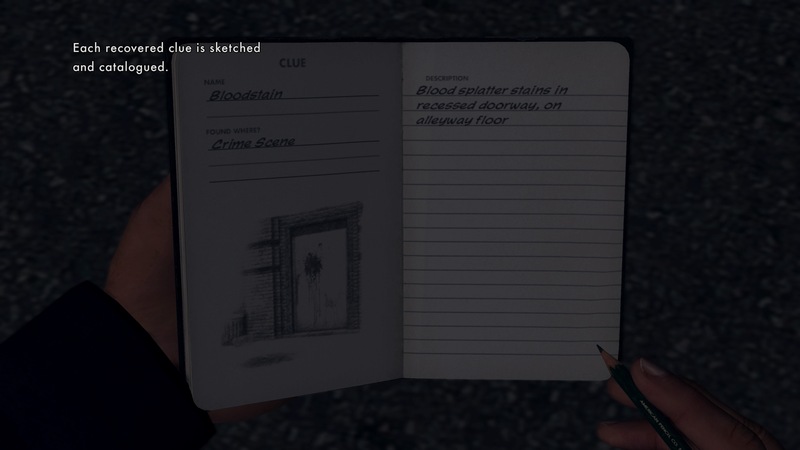 This is unusual, because across the game's 26 cases — 21 from the original base game and 5 from DLC that are slotted into the story — the only thing you do a lot of is speaking to people and looking for clues. Side cases, crimes in progress you react to while driving around the city, let you get into misadventure, but in terms of your actual investigations the chance to get your hands dirty is rare, a reward for a case well investigated. Early cases finish with fist fights, car chases through the concreted Los Angeles River, and, yes, even the occasional shootout. The scale of things is ratcheted up throughout the game, but you'll still be spending most of your time burning shoe leather, gathering evidence, and giving people just enough rope to hang themselves with. For justice. L.A. is meticulously detailed but lifeless, a still-life model of the City of Angels that lets you explore the city but doesn't let you experience it. You feel disconnected from the world around you, an outsider looking in instead of an active part of the Los Angeles experience. Don't go into this expecting an open-world adventure, because even though the city lays open underneath you, there's nothing to do but investigate your cases and answer the occasional dispatch call. The game released at a time when every game needed to be an open-world, released by a publisher — Rockstar — best known for open-world crime games. 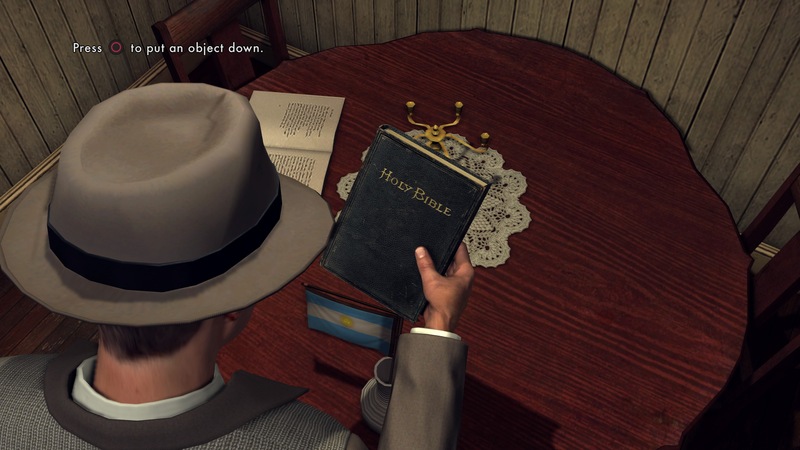 L.A. Noire's re-release serves two purposes. On one level, it's a curiosity. The best game about being a policeman ever made but a slightly wonky one that looks the part but has a few too many flaws to be held up as a classic. Cars handle — appropriate for the time — like boats stuffed haphazardly into shopping carts. The gunplay is loose, the 1911 in your hand feels like a peashooter, while shotguns and rifles have a satisfying punch but don't handle well up close. Movement is sometimes clunky. Mechanically, the game is starting to show its age a bit. But if it's getting old, it's a silver fox. The second purpose is a re-release for a game that released under a cloud, a game that struggled to find an audience. Despite the flaws, L.A. Noire is an exceptional game, interesting and well acted with a story and concepts that you simply won't find in any other game on the market. That's why it gets the Recommended label, but be aware of what you're signing up for. Phelps is a protagonist that, in his first interrogation tells a Jewish murder suspect that he'll chuck him into the gas chamber. No one here is a hero, far from it. But if you accept that everyone you meet has flaws, a world where justice is delivered in bloody hands, this is a hell of a ride. 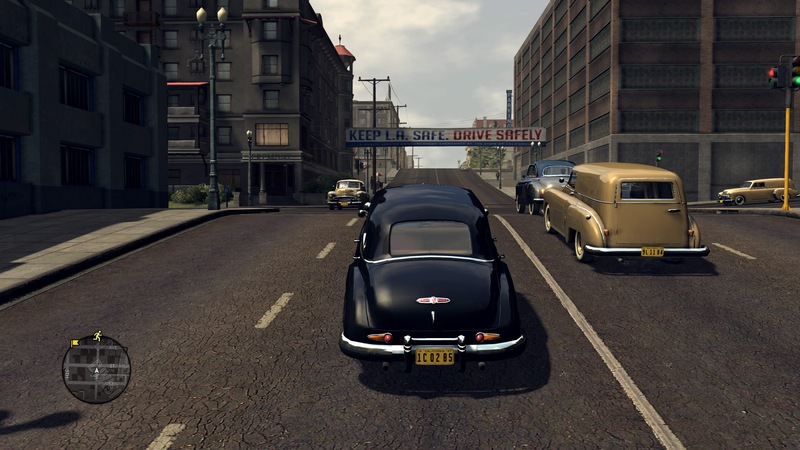 LA Noire is now out on PC: we don a fedora, light a smoke and wander the streets of 1947 LA. Team Bondi boss Brendan McNamara responds to accusations of poor work ethics.